Our Key resources blog post series continues with a selection of Lent and Easter resources that we hold here in the library. There are some really great resources out there so we hope that this post helps! All of the resources listed here are free to borrow from the ChYP’s Ministry Library (Diocesan House, Lady Wootton’s Green, Canterbury, CT1 1NQ) Please do email Gemma if you would like to borrow any of them or with enquires about the other resources that we hold. Written by Murray and Mim Oliver from G7 Benefice (Charing et al.) we have our very own Lent resources to use with youth groups, tweenage and teenage Sunday groups. The Lent materials this year aim to increase the ways in which we use the bible to help us on our journey of faith, and use a variety of methods including Lectio Divina. It is well worth a try! Play and Pray through Lent (BRF, 2005). Play is nature’s way of extending a child’s horizons and understanding of life. Kay Warrington draws on this natural sense of playfulness and creativity to enable children to grow spiritually by linking the world of the child with the great Lenten themes of the church. It is based on the Revised Common Lectionary and uses very simple visual items, such as a story cloth and card figures, to give an ongoing focus. Our Easter Play (BRF, 2009). Our Easter Play by Brian Ogden is an easy to perform play for early learners, ideal for an assembly presentation, as the basis for a classroom project linking RE and PSHE or Drama at Foundation and KS1. In the play the story is recounted through narration, mime and singing to popular nursery rhyme tunes, ensuring that pupils of all abilities are enabled to participate fully in the performance. The story is told through the eyes of Peter. The Road to Easter (BRF, 2000). Jacqui Gardner and Chris Leonard have designed a resource for busy children’s workers within the church who are looking for material to use with their fun-loving, active and energetic children in the lead-up to Easter. The eight-session programme related stories of Jesus from John’s gospel to the Christian journey of faith and the lives of children. A vivid road theme is used throughout to apply Jesus’ Easter Journey to everyday life and to remind children that Jesus is the Way, the Truth and the Life. Walking with Jesus through Lent and Easter Monday (BRF, 2009). Murray McBride has designed this book to help adults and children to prepare for Easter together by entering a ‘visual pilgrimage’- a spiritual exploration through Lent that culminates with the celebration of Easter. Each creative and thought-provoking reflection invites adults and children to share the journey at their own level by making a special time in the day to reflect on the Easter story. 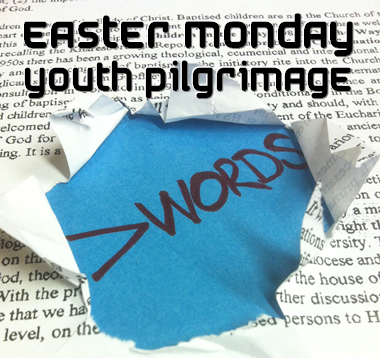 To round off a fantastic Easter 2014 – please do join us for the Easter Monday Youth Pilgrimage!